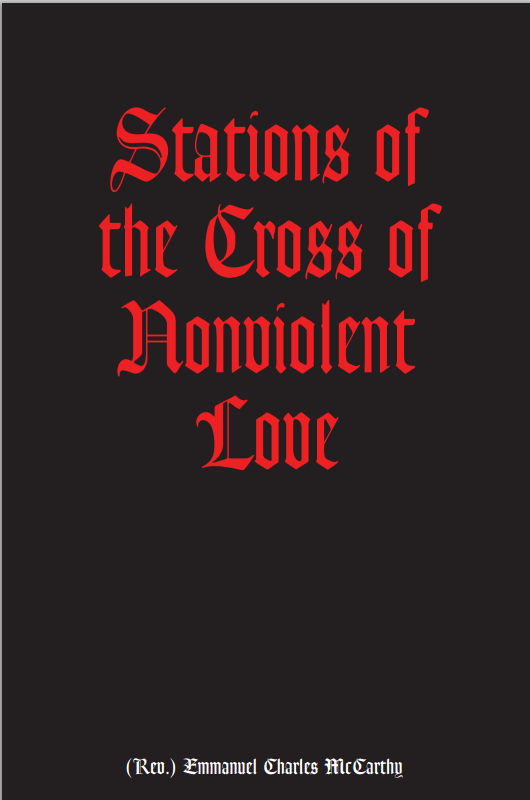 Probably the only thing (other than the Bible) that I can claim to have read every year for over 35 years is Emmanuel Charles McCarthy's Stations of the Cross of Nonviolent Love. I try to remember to post a link to it every year during the season that the liturgical church calls Lent. The PDF-format edition is available here. My one and only Lenten practice that I observe every year is prayerfully re-reading these few pages. Every year it touches me in fresh ways, and this past year of violent death, mass-marketed cruelty, and extrajudicial executions is no exception. Isn't our deepest spiritual yearning not to miss the grace God has to give us and to become the person God created us to be? This is our true desire, but embarrassment about our need, fear of change, or hesitancy about making commitments have kept us from fulfilling our baptism for too long. Before it is too late, we can approach this Lent as our time, the time we need to renew our faith so that we do not walk in vain. I don't know if I would put it exactly the same way ("to become the person God created [me] to be") but my idea is similar. 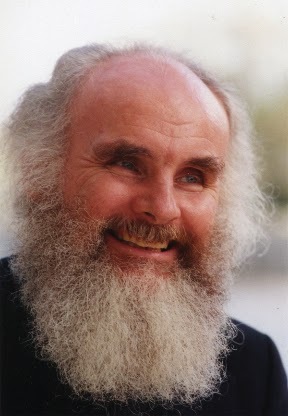 I want to finish the work that conversion began in me, which was to know that I can trust God completely and don't need to fill in the gaps with my own cleverness. This is so simple in theory, and sometimes such hard work in practice. Maybe the biggest gift I've received from living in Russia's hall of mirrors is to realize that no amount of cleverness could prepare me for life's unpredictability. Believe it or not, trust in the grace of God rather than cleverness or cynicism becomes the most realistic option! In his next commentary, Whitaker adds these words--are they true in experience or are they, to put it gently, aspirational? Our culture either encourages us to pretend we are OK or tries to destroy anyone who is exposed as a phony. Only before God can we learn to walk in truth, for God's love provides an arena of divine scrutiny of our real self where we are not only known but also accepted and forgiven. "God's love provides an arena..."? I agree that this is what should be, but the word "arena" implies a place to which we can gain access. Where is this place? Who is responsible for providing the "enter here" sign? I'd like to think that the church is where we can reliably learn about this access, and where trustworthy guides will point the way and will model acceptance and forgiveness. Is it true? If renewing faith is our individual Lenten task, then perhaps renewing trustworthiness is the church's. "In Sweden, people are leaving churches like crazy, so that statistically, if the drop-off speed would remain at this rate, there would be no Christians here in 2040." Mosaik's response. Pulpit Fiction: My favorite commentary so far on the Brian Williams story. "At a time when the military receives a reflexive genuflection from every corner of the culture, war stories have become sermons of a sort, and sermons are often untrue." What Roger E. Olson means when he labels someone "Liberal," "Fundamentalist," or "Evangelical" ... (A Quick Course in Prototype Theory). Our "Opinionated Judge" delivers her verdicts on the best films of 2014. When I read her comments on films I've already seen and liked, our opinions often seem to coincide. For this reason, her lists become handy wish-lists for films I'd like to see in the future. 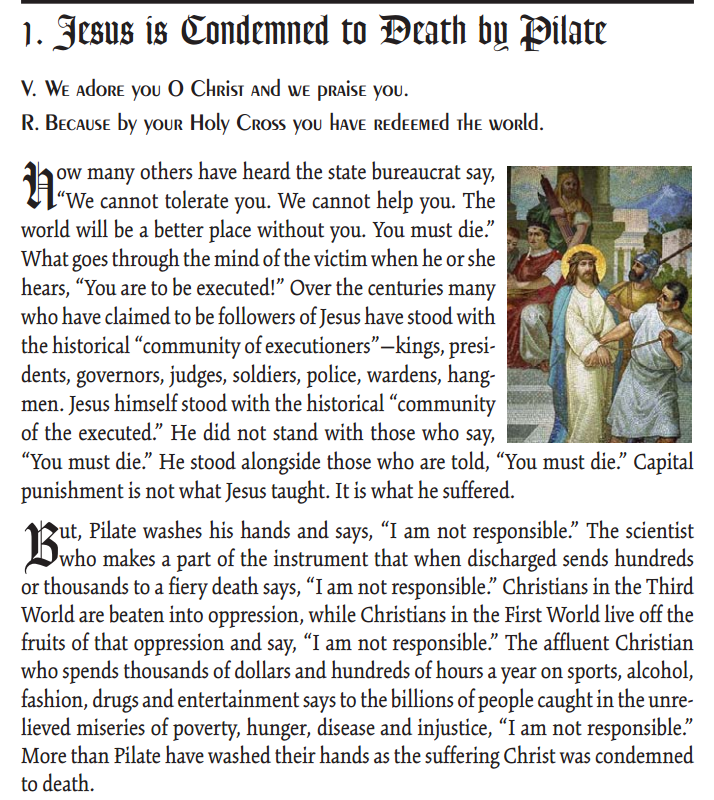 An invitation to join "calls for spirited action." just a thot: i am the gospel according to sharon just as you are the gospel according to johan IF we are in christ.